with a beautiful floral arrangement. create a Joyful arrangement for you! FLORIST AND OWNER - "Doing what I Love in a town I Adore!" ​"I like to add joy to people's lives. I have a passion for designing arrangements working with the magic that nature has to offer, and for collecting the eclectic mix of merchandise that fills my shop! My love for the flower business began as a teenager while working at my hometown florist in Kansas where I opened my first flower shop at age 22. 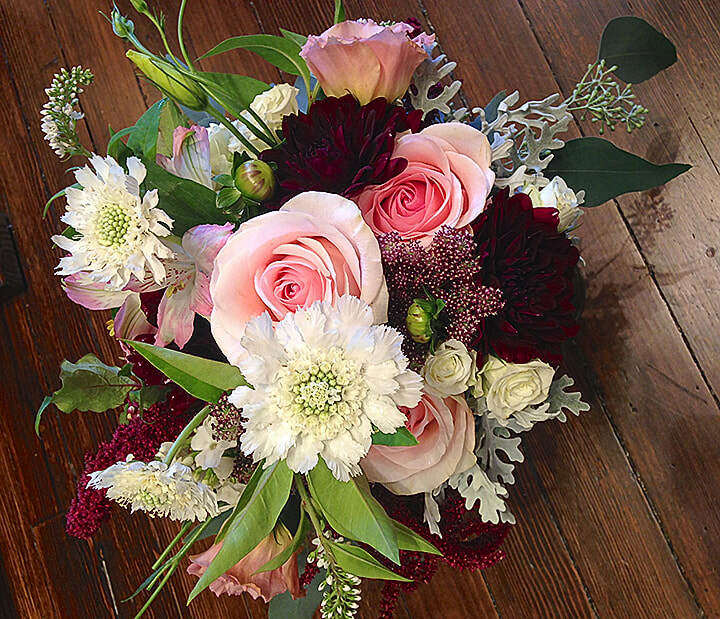 I opened Manzanita Home and Flowers (formerly know as FlowerTyme) in 1982 in Ashland, Oregon where I've gathered a talented team to help you choose just the right flowers or the perfect gift." Local Organic Flower growers in season.